Fill out our simple form and get quotes from local Mobile Cocktail Class Companies. We’ve all seen Tom Cruise in Cocktail, right? Well, there’s a good chance he learnt those skills at a mobile cocktail class. Whether you’re looking to host an event for 10 or 100, a mobile cocktail class could be a fun and out of the ordinary activity for you and your guests. Many cocktail making workshops will begin with a taster cocktail to get you started and then a brief intro on the basics of cocktail making and some key techniques to be aware of when you’re mixing away. Some mobile cocktail classes will even run competitions to see which of your party has created the best cocktail! To hear from the best mobile cocktail class suppliers in your area, simply complete a request form. Mobile cocktail classes are a great way to learn a new skill and have a great time - don’t forget, as well as making the cocktails you’ll get to drink them too! If you want to focus more on the drinking than the mixing, then why not ask your supplier to include some fun drinking games as part of your cocktail making workshop? 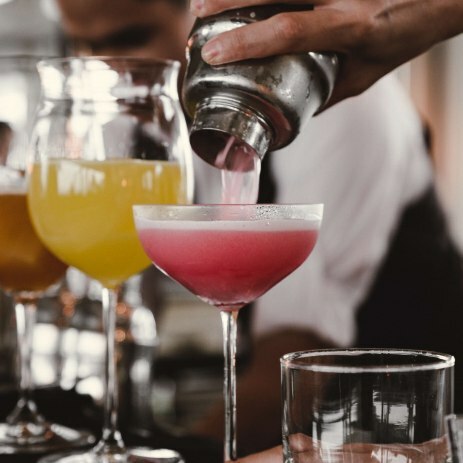 Most mobile cocktail class suppliers will provide all of their own professional equipment and will be happy to work from either your home or a rented venue. So, whether you’re looking to learn something new or just have a great time, mobile cocktail class hire could be for you. Complete a request form to find out more.